Learning foreign language can be a personal interest, an expectation from others, and/or even a life-long adventure. Yet, as those who want to learn, who are presently learning and who have already learned at least one foreign language would know, this is a process that has to derive from a passionate desire — it cannot and should not be forced. Anyone forcefully made to learn a foreign language would most likely end up resisting, loathing, despising or even hating it. Nonetheless, these days the learning of at least one foreign language is an essential part of our life. Precisely because learning needs to be a natural process, Pavel V. Kim’s Language Master: Foreign Language Mastering Secrets Revealed is helpful in explaining how we can familiarize ourselves with foreign vocabularies and phrases in as naturally a way as possible. The book simplifies various scholarly theories in language learning and combines them with practical studying strategies. 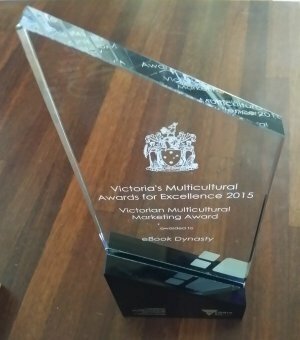 It aims to help readers establish unique learning schemes based on their own interests and needs. Kim, based in Kazakhstan, is aware of the importance of turning personal life demands into a foundation for language learning. While his native tongue is Russian, he was twice the champion in Taraz City’s Olympiad of English Language while in high school and later studied in California and Texas A&M University. Currently working in KIMEP University, one of the leading higher-education institutions in Central Asia, he helps students perfect their language learning skills. His insights to various learning approaches are rewards of an everlasting exploration into the teaching tools and methods detailed in Russian, British and American textbooks. 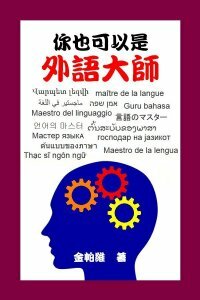 In Language Master: Foreign Language Mastering Secrets Revealed, Kim explains how readers can design their Personal Language Maps using both their mother tongues and the foreign languages they desire to learn. These maps are based on their interests and needs, such as those from various aspects of their studying, working and entertaining lives. Readers are then encouraged to navigate through the maps by mastering those foreign vocabularies and phrases required to satisfy their daily needs. The book further guides readers to establish their own learning schedules and ways to measure their results. As each individual requires unique studying techniques and tools, they are advised to build personalized dictionaries targeting those aspects of life they are particularly drawn to. This helps them improve their listening, speaking, reading and writing skills and achieve their foreign language mastering goals. In short, Language Master: Foreign Language Mastering Secrets Revealed is a practical and reliable guidebook suitable for readers of all linguistic backgrounds. While there is no shortcut to learning a foreign language, this book lends a hand to those who are trying and facilitates those already on their way to evaluate their achievements. As the book points out, mastering your desired foreign language is a highly achievable goal, as long as you persist on having it as a sustaining part of your life. A brave new world awaits you, so what are you waiting for?